Although not expected to officially hit retail, today brings us our best look yet at the much talked about "What the LeBron?" Nike LeBron 9. 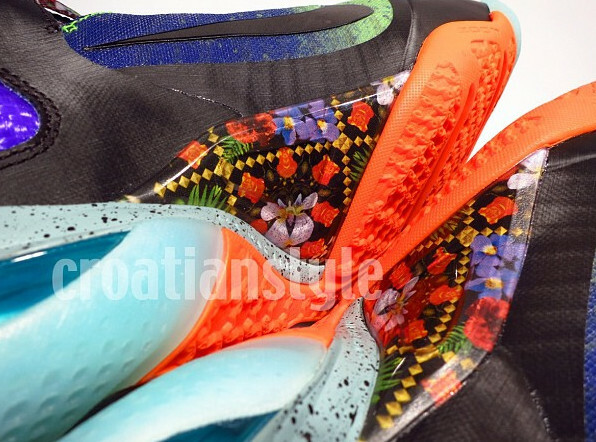 Contuing the theme originally used with the Zoom Kobe series earlier this year, the "What the LeBron?" 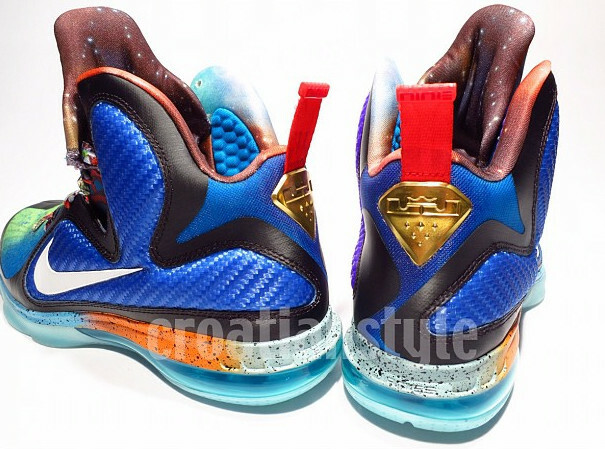 LeBron 9 combines several colorways previously used on the 9 to create the extremely eyecatching shoe. "Watch the Throne" laces are seen, combined with a blue fade upper, a galaxy print ankle liner, and a translucent outsole sitting below. 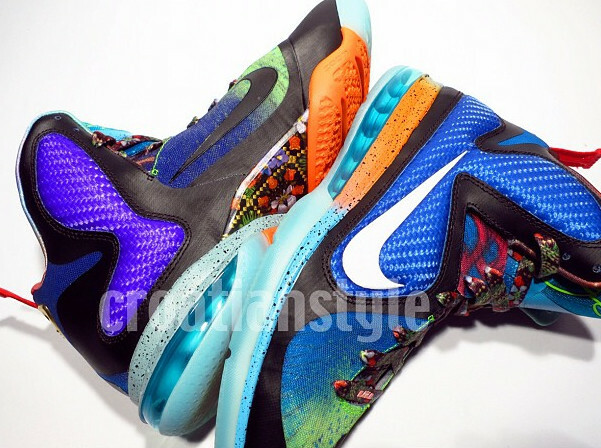 The "What the LeBron?" Nike LeBron 9 is not expected to hit retail.